The first Food Sovereignty Symposium and Festival in Madison will be March 10 to 12. It focuses on indigenous communities and food sovereignty topics that impact how communities manage their food systems while celebrating indigenous, local and regional foods. It’s being hosted by the Wisconsin Union Directorate Cuisine, Family Farm Defenders, Intertribal Agricultural Council and the Center for Integrated Agricultural Systems. The majority of the symposium will be held March 10 to 12 on campus and surrounding areas, and includes panels, lectures, dinners, demonstrations, film screenings and other opportunities to meet chefs and food activists. Federica Ranelli, director of WUD Cuisine, was initially approached by Dan Cornelius, WUD alumnus and member of the Intertribal Agricultural Council, with the idea to develop the symposium last summer having conducting similar events throughout the last few years. “The scope and mission of the event fell right into WUD Cuisine’s mission, so we decided to get involved by hosting a few events through the week and sitting on the planning committee,” Ranelli says. Ranelli emphasized the idea of food sovereignty, that is, the right of people to define their own food systems and have access to food that is healthy, culturally appropriate, and produced in an ecologically sound manner. The movement is prevalent in Madison and many other places across the country and stems from indigenous communities where this mindset towards food is at the core of their culture. Many communities have strived to create food systems that are culturally appropriate, ecologically sound, and sustainable without dependency on other nations comes from indigenous people. Patty Loew, Bad River Ojibwe member and professor in the Department of Life Sciences Communication, says that indigenous people rely on natural landscapes for hunting, fishing and gathering food. Since the colonization by settlers, the traditional diets have been dramatically altered, causing serious health issues like diabetes and heart disease. In addition to free hands-on activities, three main meals will be served that students can attend for a discounted price. A Fish Fry on Friday night in The Crossing church features three chefs inspiring the Indigenous food movement (and students pay $5 for a meal ticket). 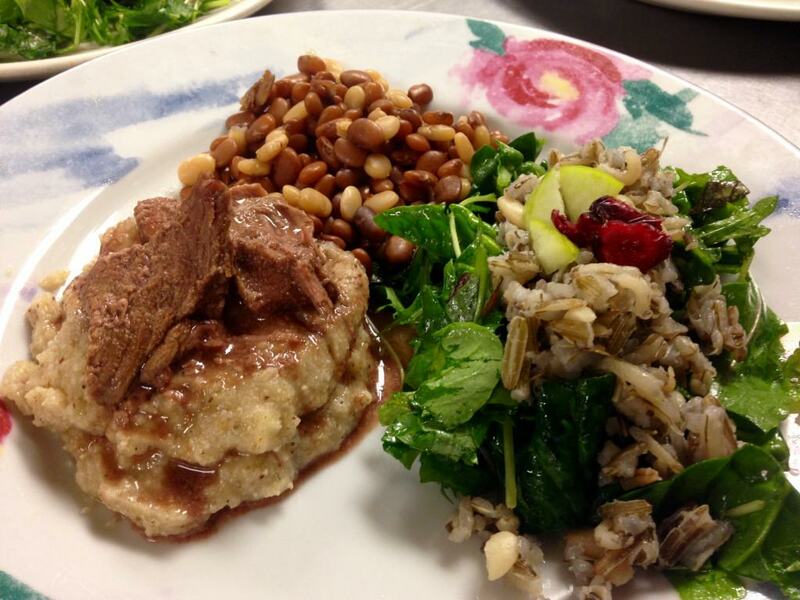 On Saturday morning, a Taste of the Tribes small plates brunch features five chefs and a talk about Food Sovereignty Today by Dr. Elizabeth Hoover. On Saturday night, a Family Farm Defenders Banquet features a keynote speech by Dr. Martin Reinhart about the “decolonize your diet” project. John Peck, executive director of Family Farm Defenders, says that he hopes the symposium will encourage more people to get active in the food justice community and think about how food sovereignty can influences communities to work together towards better practices.